What a beautiful day! The weather was perfect, the kids woke up happy, including Felix who was smiling from the second he got up, and Nathan didn't have to be at work until the afternoon so we were able to spend a relaxing day together. It doesn't get much better than that! Nathan and I took Felix to Kindergym this morning. It's the first time he has gone since the Summer holidays so, as with most things, we were unsure how he would react to being back there again. We finished the year, last year, with Felix starting to be a bit more settled about other children playing near him, but still very cautious. He had become a lot more agile with his climbing and was starting to really enjoy it. Today was amazing! Felix had a smile on his face the entire time we were there. 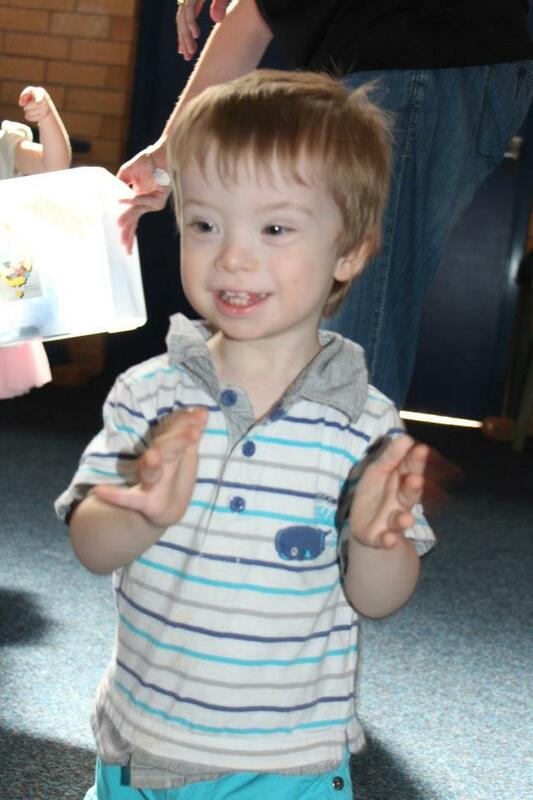 He participated in 'song time', shaking his shaker enthusiastically, and standing up when the other children stood up. 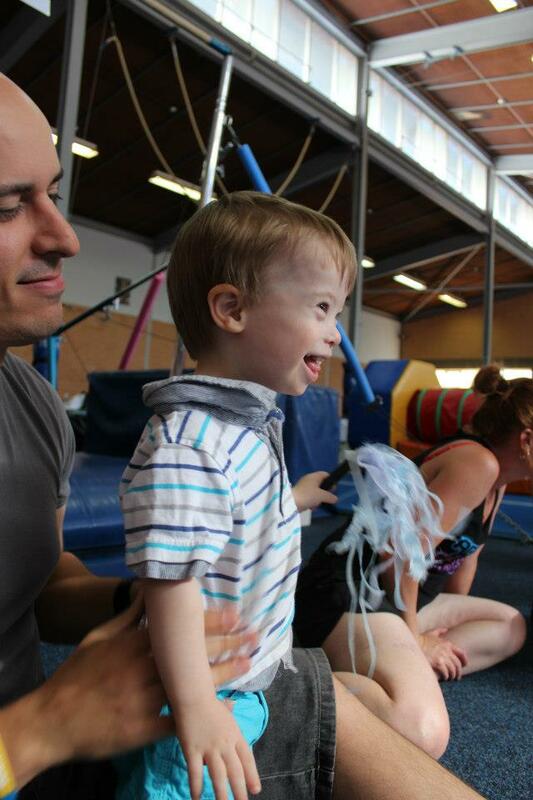 He was just like all the other kids, laughing and having fun. He even went and put his shaker back in the box when the singing was finished, which he has never been brave enough to do before. It really was a joy to watch him today. Felix was still slightly cautious, checking the tunnels to make sure there were no other children inside before he climbed through, but for the most part he was really confident. He was happy for the other children to touch him and brush past him. He didn't even worry when one of the babies started to cry, or when the little girls were squealing (which is great because he used to just melt into me when it was too noisy for him). He has come such a long way. The big trampoline was a huge hit today. Felix had stood, watching a little boy bounce up and down on it, for a while. 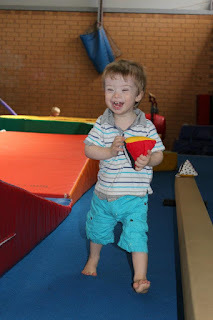 When he was finished, Felix looked at me and started 'jumping'; the top half of his body bounced up and down but his feet were still firmly on the floor (I think jumping will take a while to learn, but his way of doing it is pretty cute!) We figured he was telling us that he wanted to have a go, so Nathan picked him up and lifted him up onto the huge trampoline and got on there with him. What followed was hysterical laughter from Felix as he attempted to jump and bounce on the trampoline. I'm pretty sure he would have stayed on there the rest of the day if we'd let him although, I think his stomach would have started to hurt from laughing so much.